Delicious triangular Scottish shortbread to serve for tea time or dessert. The Petticoat Tails shortbread is a delicious biscuit to serve for tea time or dessert. 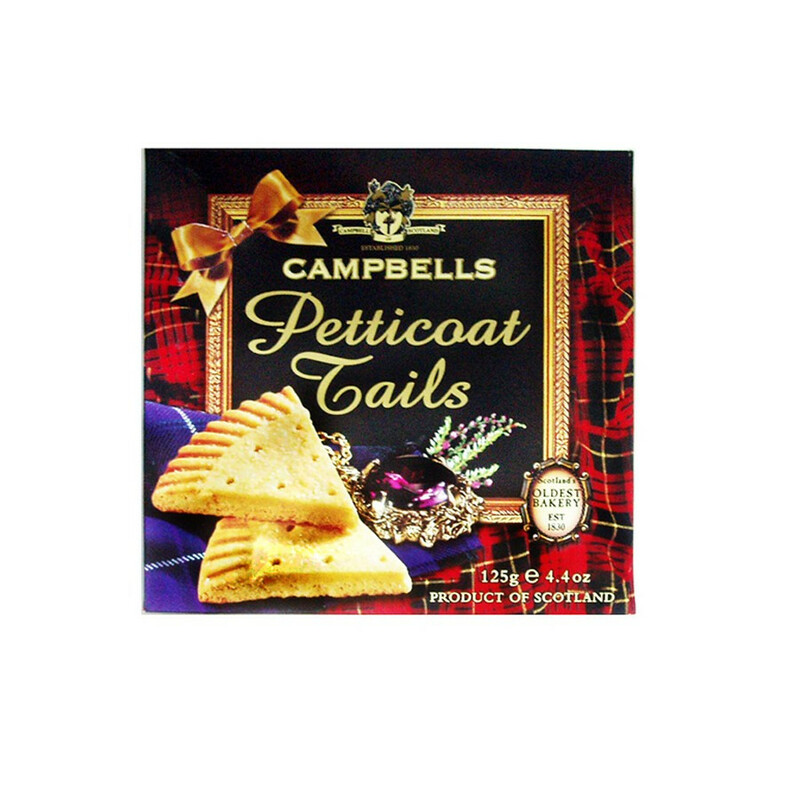 In 1830, in the small village of Callander in the Highlands, Donald Campbell baked his first golden shortbreads. Today, more than 180 years and six generations later, this small village bakery has become the oldest bakery in Scotland and continues to manufacture quality products. The Campbells are one of the most enjoyed shortbreads in Scotland and combine the best traditional recipes with the finest ingredients. Ingredients: wheat flour, butter (28.5%), whole milk powder, salt, raising powder (ammonium bicarbonate, sodium bicarbonate). Allergy advice: contains milk, wheat and gluten.